Mid May, 2011. Blackburn Rovers, Wigan Athletic, West Ham, Birmingham, Wolverhampton Wanderers and Blackpool are all fighting for their Premier League status. 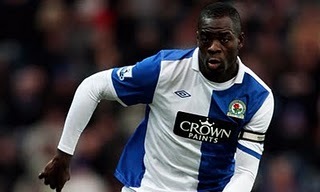 Each team has their men that carry them along, but none more so than Blackburn’s Chris Samba. The dominant Congolese single handily insured that Blackburn would ply their trade in the Premier League for another season. Their captain carried the team around ALL season, not just for the final third. He shone in a rather dull, unexciting and, at times, abysmal team. One game that rapped the guy in to one for me was his amazing game against Manchester City. In the space of 20 seconds, he put his body on the line to block 3 attempts at the Rovers’ goal. This brings me on to Arsenal. Some say we are lacking a leader, someone that will do anything for the team, a Tony Adams. Despite people saying we need an English CB, I beg to differ. You do not need to be English to love Arsenal, to put everything on the line for them. Take the Malaysian fans on our recent tour; nobody was expecting them to be so committed. Reports are also linking us to Phil Jagielka and Gary Cahill, who, in my opinion, are not quite good enough for the starting line up. 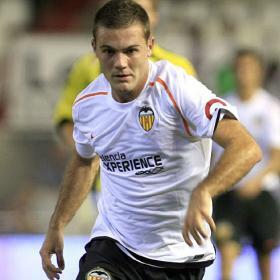 And for around £5 million less, we can get big Samba. He is the perfect CB for us. He is everything we need. A leader, he knows how to win ugly and is dominant in the air, all three things that we lacked last season. Therefore, I believe that Arsene Wenger should leave Jagielka and Cahill and go for the more financially and all around more viable option. Taking his recent interview in to consideration Samba wants to be an Arsenal player anyway. It’s up to you Arsenal. According to Guillem Balague, a well-known Spanish journalist, who regularly features on TalkSport and Sky Sports, the Gunners have reached an agreement with Valencia, over the signing of Juan Mata and that the fee will be around 22 million euros. Balague, also states that Mata will take over Samir Nasri's position on the left hand side and that Nasri will take over Fabregas's position, who Balague expects to leave to Barcelona this summer. Various reports in Spain, say that Mata will be unveiled as a Gunner by the end of next week.